Mulligan's Sports Bar located at 5155 N Lincoln Avenue has closed. I'm no stranger to local drinking establishments and I never once thought about going to this place. It never looked open and the local "dive bar" competition is very strong in Lincoln Square. An awning with the name "KENIA Sports Bar and Grill" graces the storefront now. I can't find any information for the new business but we wish them luck. The location is on a busy stretch of Lincoln Avenue at West Foster about three blocks from my house. La Cabana de Don Luis (a Mexican restaurant that I really want to like and need to take another shot) next door has been there at least three to four years. Jimmy's Pizza (which I like a lot) two doors down from "KENIA" anchors this otherwise nondescript mixed use building. 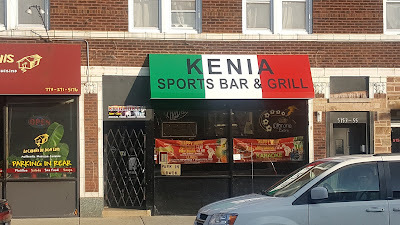 Anybody have insight on KENIA? I thought I saw a FSBO for the bar as well.